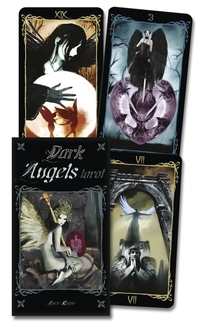 Dare to explore your dark side with this gorgeously gothic tarot. Journey to a dimly lit, secret netherworld, where you'll have a rare opportunity to communicate with heaven's misunderstood outcasts—the dark angels. Achingly beautiful, mysterious, and wise, these unearthly creatures have much to teach us of our own shadow selves.